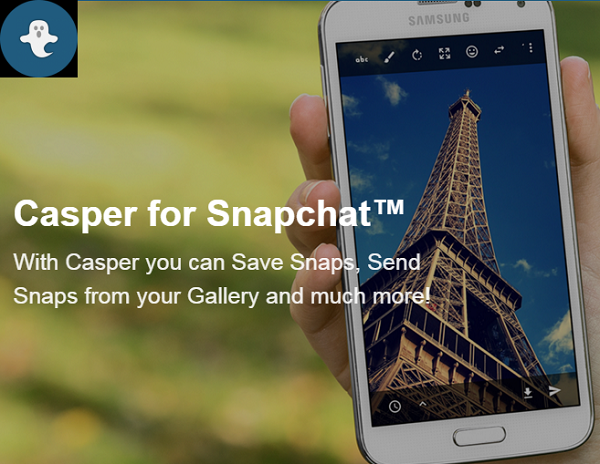 Just like Snapchat ephemeral messaging app, Casper is an alternative of Snapchat, through which Android smartphone and tablet users can send, forward and save snaps from device gallery. Casper for Android offers several new features and functions, which are not available on conventional Snapchat application. The official Direct Download Links of Casper .APK File for Android is available below. Currently, Casper App for Android is not available through Google Play Store, but users can still download and install Casper APK with third-party links attached below. You must make sure to enable security option i.e. "Allow installation of apps from unknown sources" from settings on your Android Phones, before open .apk installer file.